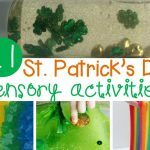 Shamrocks, adorable Leprechauns, rainbows, and the color green are just a few ways we can make learning extra exciting in the month of March! 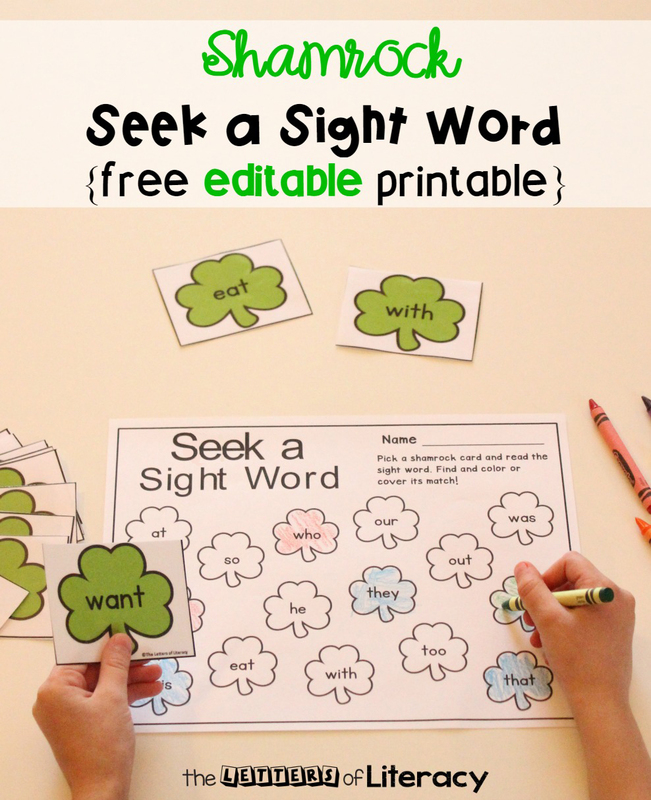 Bring some fun to your literacy centers this month with this Editable St. Patrick’s Day Sight Word Game! You read that right…this FREE activity is EDITABLE! That means you get to choose the words you want your students to practice! 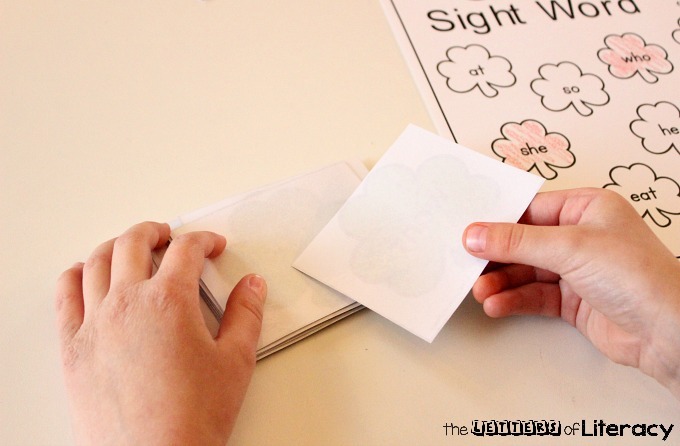 Hint: read all the way to the end to see our fun variations to this sight word game! Since this printable is editable, you can choose any 15 words that you’d like your students to focus on. You simply type them on the custom word generator page – and it will auto-populate the shamrocks and recording sheet for you! The possibilities are endless with an editable activity. 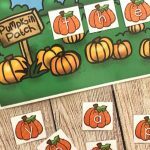 You can choose to use March themed words, spelling words, High-Frequency Words, Dolch Words, Sight Words and the list goes on! Tip: Use candy shamrocks or green colored manipulatives to “cover up” the shamrocks on the recording sheet instead of using crayons to make it reusable! Just slide the pages into a dry erase pocket or sheet protector! 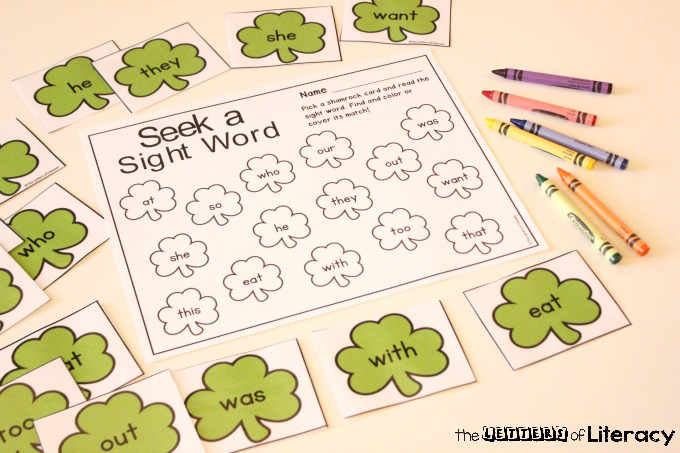 Print, laminate and cut apart the Shamrock words. 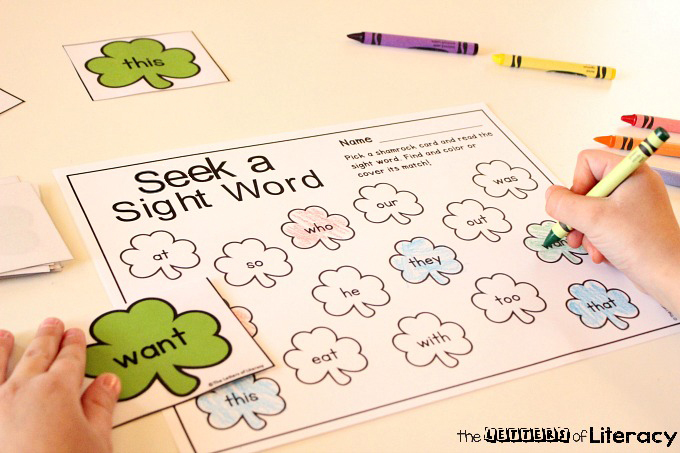 Place the Seek a Sight Word Coloring page in your literacy center with crayons and Sight Word Shamrocks. 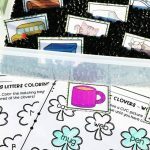 Students will draw a shamrock from the pile, read it, and find it on the recording sheet by coloring it in. 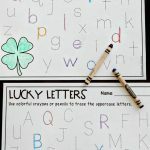 The activity continues until all of the sight word shamrock cards have been read and colored in on the recording sheet. 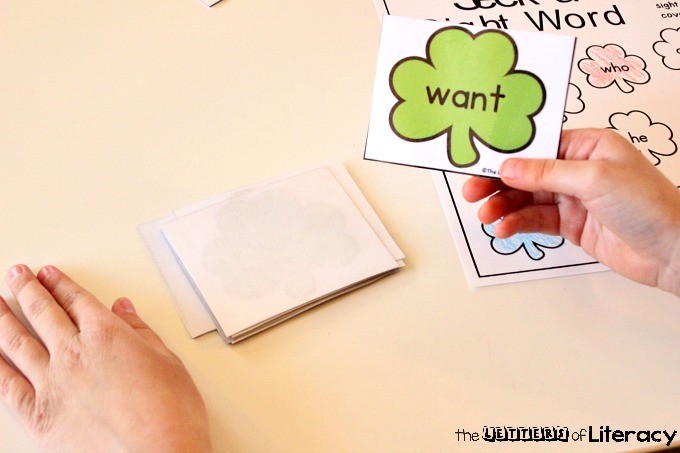 Player #1 draws a card, reads the sight word and finds it on the recording sheet and colors in the shamrock. Player #2 then proceeds as player #1 did. If a player doesn’t know the sight word, they must put the card at the bottom of the pile and they miss their turn. The player with the most shamrocks colored at the end of the game is the winner. 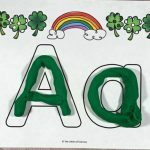 Ready for some Shamrock-themed sight word fun? 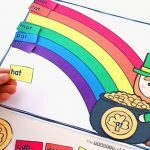 Grab your copy of this Editable St. Patrick’s Day Sight Word Game by clicking the blue button below. 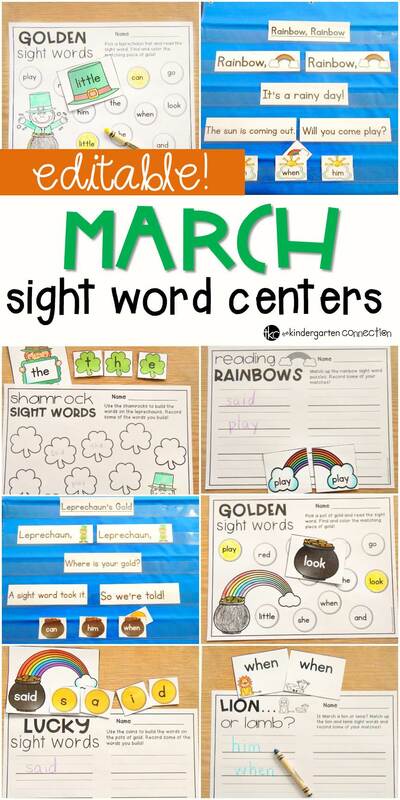 Then, for TONS of sight word fun for March, hop over and grab our EDITABLE March Sight Word Centers! This is awesome! Thank you for offering this as a freebie. I can’t wait to use it will my kids! Thanks, Danielle! We are so happy to hear you like it. Have fun with your kiddos! 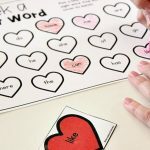 I love this editable sight word game! Please say you have another one on the way for April!!! Please!! My kids and I also love your roll and graph games with the pocket dice!! We would love to see more of those too!!! Keep up all the fun things you do! Hi Melissa, we are so happy you enjoy these printables! 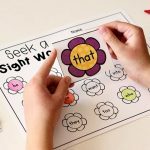 You are in luck because both of our editable sight word games and the roll and graph games are part of our monthly series right now! There will be a new one for each activity, that is themed for the month. Be on the lookout for April’s early this month! Enjoy! Thanks, Leslie! We are so happy to help! Enjoy! get you down. I lived there for 4 yrs back in the 1970’s. That was enough for me .HaHa, May God Bless you and your family. Thanks again. This is wonderful to hear! I’m so happy you are enjoying our resources. Thank you for spreading the word! We love what we do here and are happy to support the teaching community. Have a great school year!